I don’t know about you, but I am pretty tired of bland, mayonnaise laden potato salad. You know the type I’m talking about. It is white on white, maybe a little egg thrown in and plenty of mayo! It’s very popular as a side for your sandwich at restaurants. Not only can this be rather tasteless, it is not something you want to transport to a picnic and lay out in the sun – keep it chilled!! All this was floating through my head as I dug potatoes from my garden. 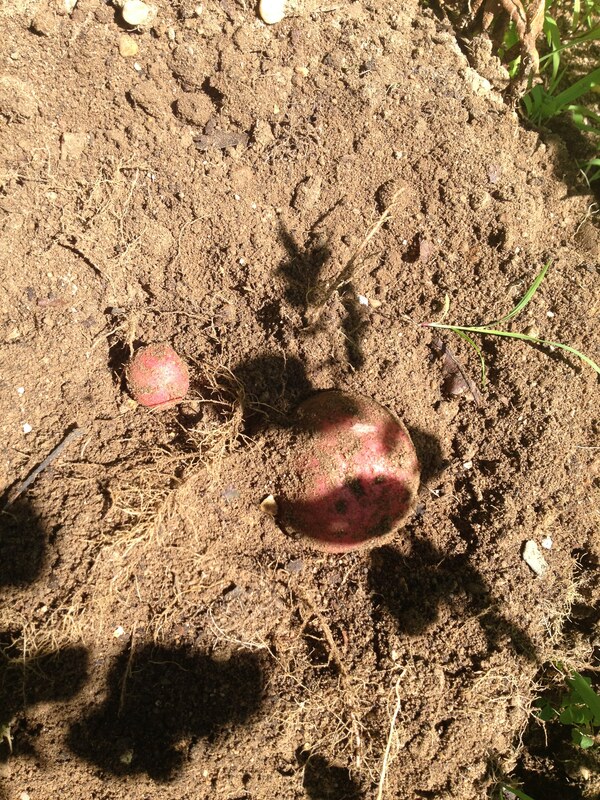 I just want to say that I *love* digging potatoes! It’s like a treasure hunt. You can never be completely sure of what you will find. Potato harvesting can happen at many stages of the plant development. Once the plant flowers, you should be able to find small or tiny potatoes. After the flowers, any time you dig in there, you will find something. When the plant starts to die back, it is pretty much finished with potato growth and I have learned the hard way not to wait long after this or the critters will get there before I do! So this week, my plants were dying back (yes, pretty early in the season) so I went ahead and dug them all up. As I dug and uncovered many of these beauties, I was thinking “light” and “refreshing”. What is more light and refreshing than lemon? And that was the basis for this recipe. Boil the potatoes until just tender. I like to cut mine up ahead of time to reduce cooking time (saves energy :). Mix the olive oil and lemon juice. I use a small jar to shake this up and emulsify the ingredients. Pour this over the potatoes *while they are hot*! I think this helps it to soak into the potatoes better. 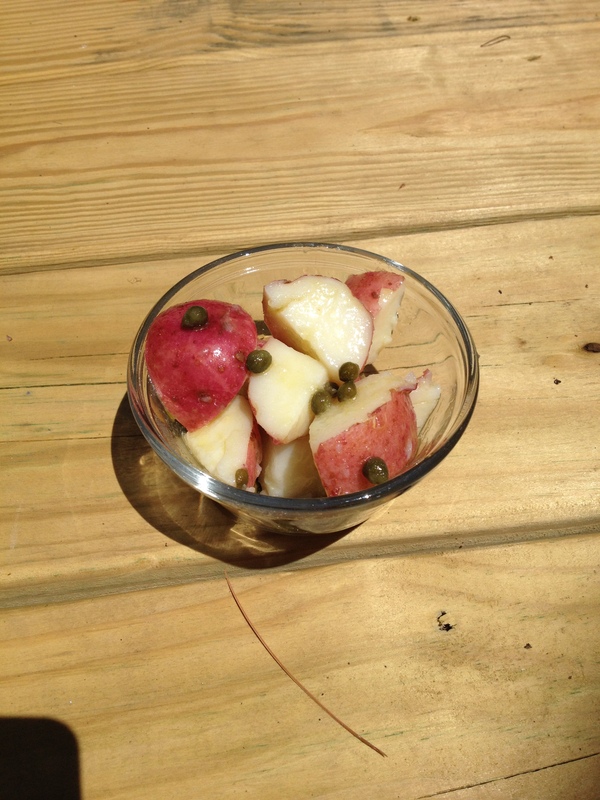 Top with the capers and serve warm, room temperature or cold – whichever you prefer!